To get started, just head to support.revelsystems.com to search or browse for your question. If you've emailed us before, we recommend that you sign up with that address—you'll be able to see your support history with us! 4. After you click the verification link emailed to you to verify your address, you’re all set! Have an extra special article or section you’d like to keep an eye on? Keep yourself posted with a subscription! After that, you’ll be notified by email whenever your article or section is updated. We’re committed to helping you help yourself – but that doesn’t mean we aren’t here when you need us! 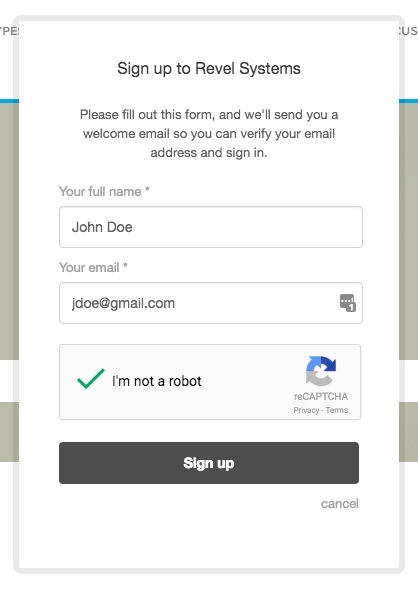 You’ll land on a simple form you can use to submit your request straight to the team that can handle it! 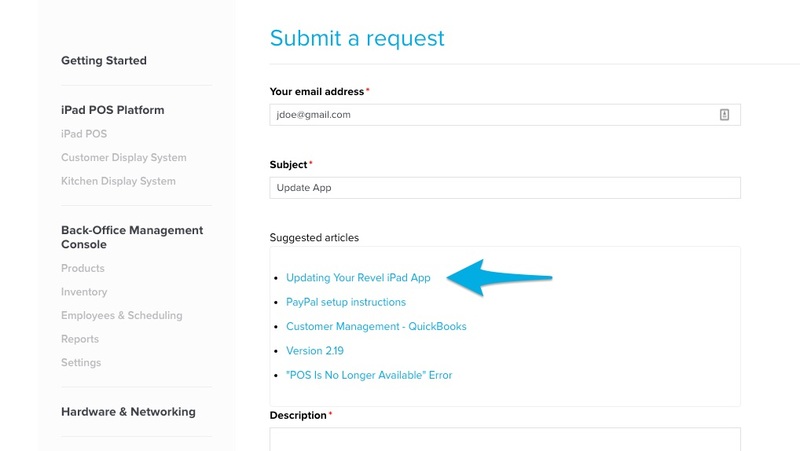 If you sign up for a Revel Support account, you can check up on your ticket, view past requests, and see a list of every request submitted by your business—all from a single web portal. 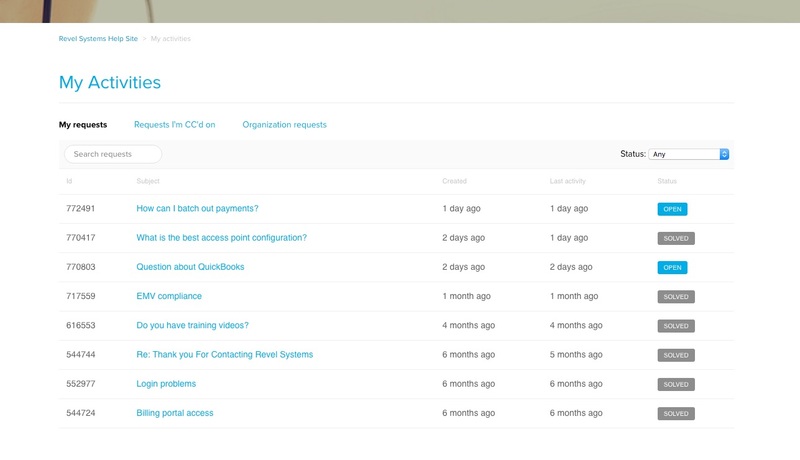 You’ll see your request titles, latest activity, and a color-coded Status column to quickly know which requests are open, solved, or require your attention. (Open): Revel Support Team has received your request and it is being reviewed and/or worked on. (Awaiting Your Reply): Revel Support Team needs more information from you in order to continue working on your request. (Solved): Your request has been resolved.